Modification & distribution – Blobs can not be improved or fixed by open source developers. You cannot distribute modified versions. Reliability – Blobs can be unsupported by vendors at any time by abandoning driver maintenance. Auditing – Blobs cannot be audited for security and bugs. You are forced to trust vendors not to put backdoor and spyware into the blob. Bugs – Binary blobs hide many bugs. Also, it can motivate people to buy new hardware. Portability – Blobs cannot be ported on different hardware architectures. It typically runs on a few hardware architectures. Privacy and Security – Blobs may contain backdoors and other code that might harm your computer or steal your personal information. Look Ma not just free software! Learn how a distribution works on the inside. An active community is providing quick and helpful support. 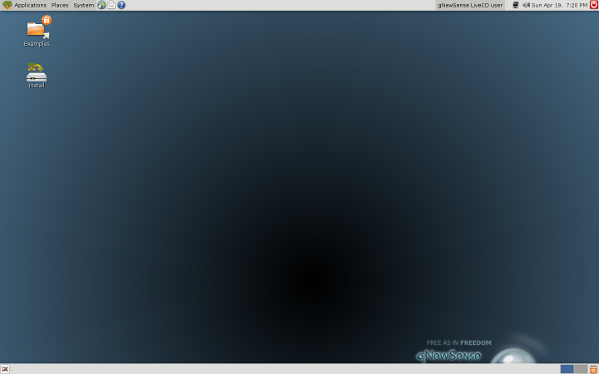 1. gNewSense – Fully free software GNU/Linux distribution. gNewSense is a GNU/Linux distribution based on Ubuntu Linux. However, gNewSense v3.0 will be based on Debian instead of Ubuntu. The current version is same as Ubuntu, but with all non-free software and binary blobs removed. The FSF considers gNewSense to be a GNU/Linux distribution composed entirely of free software. 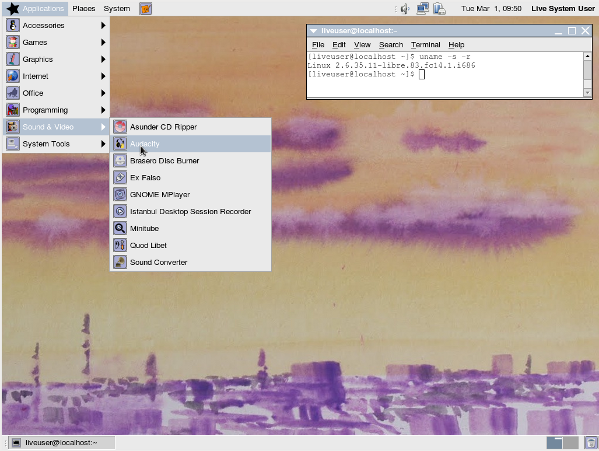 Dragora is a GNU/Linux distribution created from scratch. The FSF considers Dragora to be a GNU/Linux distribution composed entirely of free software. It has a very simple packaging system that allows you to: install, remove, upgrade and create packages with ease. Dragora features runit, among other things, for it’s system startup by default, which ensures the complete control of system services. BLAG Linux is a GNU/Linux distribution based on Fedora Linux. The current version is just like Fedora but with all non-free software and binary blobs removed. 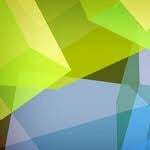 The latest stable release, BLAG90001, is based on Fedora 9, and was released 21 July 2008. BLAG comes with various server packages including Fedora plus updates, and support for 3rd party repo rom Dag, Dries, Freshrpms, NewRPMS, and includes custom packages. 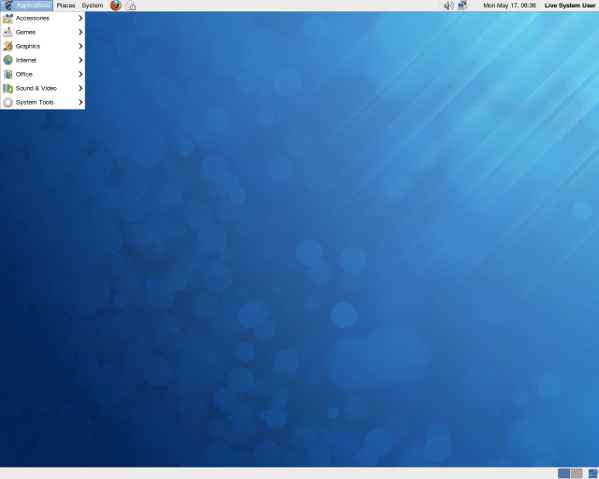 BLAG140000 (beta version) is based on Fedora 14, and was released on 8 February 2011. The FSF considers BLAG and GNU to be a GNU/Linux distribution composed entirely of free software. 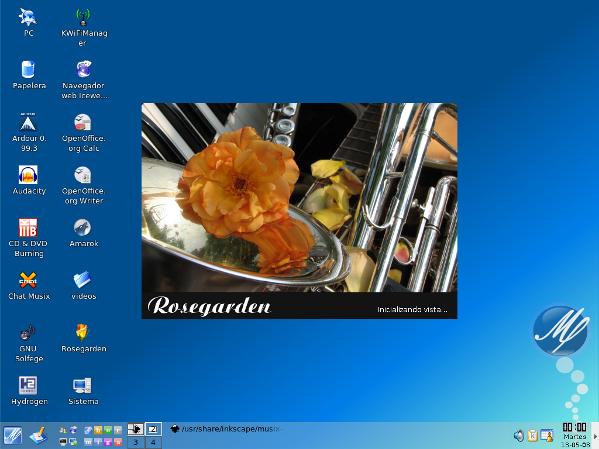 Musix GNU/Linux is a live CD and DVD Linux distribution based on Debian Linux. It is intended for music production, graphic design, audio and video editing, and general purpose applications. The FSF considers Musix to be a GNU/Linux distribution composed entirely of free software. Musix is developed by a team from Argentina, Spain, Mexico and Brazil. The main language used in development discussion and documentation is Spanish; however, Musix has a community of users who speak Spanish, Portuguese, and English. The default user interface is set to IceWM. 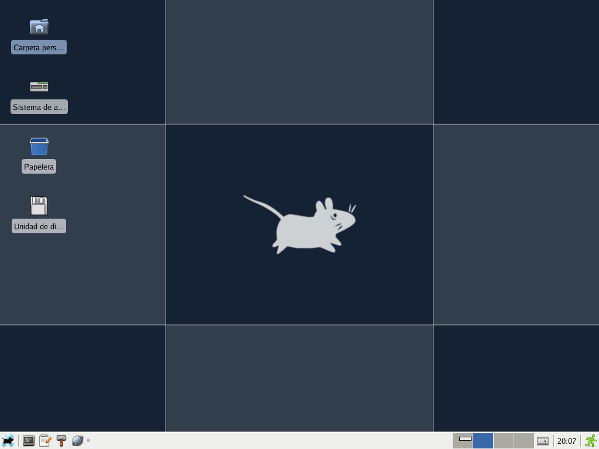 However, user can install other interfaces such as KDE. Trisquel has several editions, designed for different uses: the one called simply Trisquel. The most important one is intended for home and personal use, and includes a lot of apps for that: networking, multimedia, office, games, etc. The Edu edition is designed for educational centers, and allows the teacher to build a custom digital classroom within minutes. The Pro edition is for enterprises, and includes accounting and business management software. The Mini edition is for netbooks and older computers. 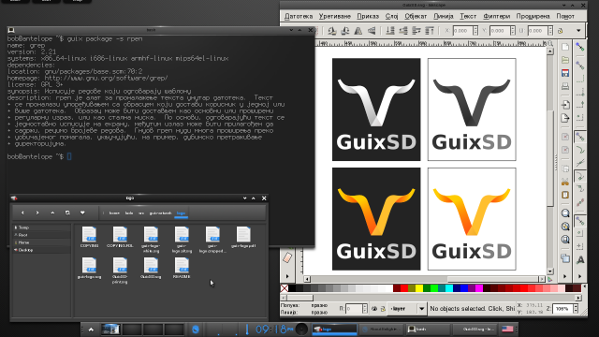 Guix System Distribution is an advanced GNU/Linux distro built on top of GNU Guix (pronounced “geeks”), a purely functional package manager for the GNU system. It is developed by the GNU Project—which respects the freedom of computer users. 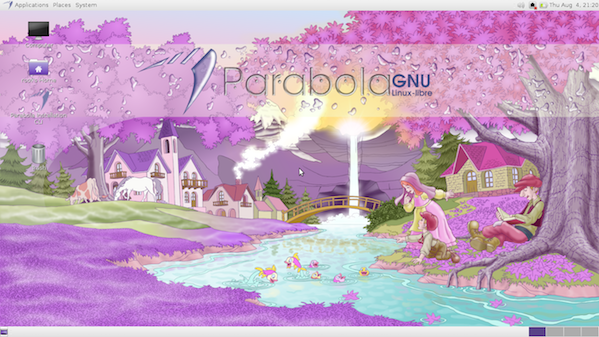 Parabola GNU/Linux, a distribution based on Arch that prioritizes simple package and system management. Parabola GNU/Linux-libre uses a rolling release model, such that a regular system update is all that is needed to obtain the latest software. Dynebolic, a GNU/Linux distribution with special emphasis on audio and video editing. See Linux-libre home page for more info. OpenBSD developers do not permit the inclusion of closed source binary drivers in the source tree and are reluctant to sign NDAs. If you are serious about running a system with no binary blobs, you may want to try out OpenBSD too. It supports Gnome, KDE, and other desktop environments too. The Debian project has been working in removing non-free firmware from the Linux kernel shipped with Debian for the past two release cycles. At the time of the releases of Debian 4.0 “Etch” and 5.0 “Lenny”, however, it was not yet possible to ship Linux kernels stripped of all non-free firmware bits. Back then we had to acknowledge that freedom issues concerning Linux firmware were not completely sorted out. Debian v6.x or above (including the latest version of Debian Linux) will provide the non-free firmware from the official non-free repository. Jeremy Andrews conducts a free-ranging interview, focused mainly on OpenBSD 3.9 and drivers, that gives Theo a chance to explain how the big North American chip vendors’ business practices make it harder for open source projects, talk about “binary blobs” vs firmware in drivers, and more. (Image credit: Respective GNU/Linux distribution projects webpage and wikipedia). Just some clarification: OpenBSD accepts nonfree firmware in its kernel. OpenBSD does not allow non free firmware in their kernel. They do however allow nonfree firmware blobs for their drivers. This might be considered a technical detail, but the OpenBSD project doesn’t allow for nonfree software in its kernel which I would guess they are quiet keen on proclaiming and right should be right without fsf connected people spreading false statements due to a small technical detail. Drivers are in kernel. OpenBSD has proprietary firmware, it doesn’t matter if it is in kernel or running on embedded CPU in the Ethernet controler. That makes it no freer than Ubuntu. Furthermore, OpenBSD has proprietary stuff like Opera in their port system and it treats it like it is Free Software package, ie, “builds” it. Build here does not mean compiling (since there is no source to begin with) but rather just downloading Opera from official site. However user might get deceived that Opera is real Free Software, since OpenBSD “builds” it like any other software in ports collection. So practically there is no way to know what package is really Free and which just “builds” in figure of speech, like Opera does. For those reasons, OpenBSD is NOT a 100% Free OS. Not by a long stretch. Once I’d tried libre kernel but I was dumbstruck by its sillyness. By that time I was using speedtouch dsl modem, which requires a proprietary firmware. Well driver is ok – it’s open, and it is available in linux libre kernel, but by, design it rejects installed firmware, YES, BY DESIGN. For crying out loud!!! Thus I coud not have working modem !!!! I wound up with crippled hardware, which was fully functional with stock kernel. So, I’d said to myself F@#$@ it and went with “tainted” version. Freedom should not be ignored because of unnecessary pragmatism. “unnecessary”? That is very subjective. Why are those the five best? Does list order imply that GNUsense is the very best? 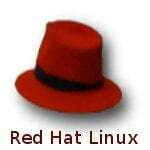 I would really like to see a list of free distros made with thoughtful analysis. I have to ask: Why do these things with Proprietary software matter to the common person? Maybe i just don’t get Linux’s “problem”,but it seems counter intuitive to damn one set of software because the developers didn’t like your way of coding. Yes,open source has it’s benefits as you listed.However i’m sure closed source has it’s benefits as well.If it didn’t then a lot of people wouldn’t be using it would they? That said,i have to wonder…do you have proprietary drivers? I assume for the typical user,you haven’t actually considered if they can use Pure Open Source OS’s at all,because despite open sources portability,that still requires you to be able to port it,usually with only limited help (we can’t ask you to code it for us,can we? ).Slap yourself in the face once you realize you’ll have to figure out how to get a driver because your OS…Operating System…denied you it. So,for example,i run Ubuntu Netbook on a Netbook computer via live USB…no internet. This is one of the many problems i am having with Linux’s direction. it’s counter-intuitive and seems to be made backwards to actually being a helpful system. If you hate closed source thats fine,but even the Distributions that claim to be made around the idea of being a desktop OS aren’t really going to get far without something as basic as a driver right out of the box. At the very least do it with Live CD so people who actually trust closed source can test your OS. that said,could you guys also get some standards thrown together so Developers don’t have to worry about compiling onto 50 different distributions? I’m sure companies would be a little more willing to make linux copies of their products if they didn’t expect only 5 people would be able to use the version they made…Also,so if a linux site is suggesting X item,it can be installed on more than Y Distribution? oh and mp3mostbasicmusicfiletyperestrictedwhat? Anywho…theres my rant……of course,maybe i just don’t get it:Why deny users basic features and make THEM go through hoops and loops because of it? I kinda get the idea Linux is unpopular because the community doesn’t want it to be popular.It’s trying to expect something the rest of the world doesn’t want to do. Because this is what GNU/Linux is. Use it or not. That’s why many people prefer Linux (without GNU restrictions). Many people need to work and cannot have the luxury of technicalities. Whether or not the distribution has non-free software, it’s still GNU/Linux. Linux is just the kernel. The GNU project prefers only free software, but the os is still GNU/Linux. 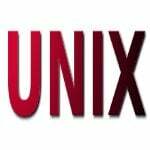 GNU/Linux does not mean an entirely free and open source operating system any longer. Not in this day and age and hasn’t for awhile. These days GNU/Linux can simply be defined as “Linux distributions”. That’s it. Linux has always been about choice and that includes the choice of using proprietary software/drivers or not. It’s not about how people code, it’s about your freedom to use your computer the way you want. The problem of drivers might seem counterintiutive in this regard, but free software distributions only choose to distribute drivers that are free software that is drivers that can be modified and redistributed by the end user to make sure the computer is in the end users controlling and not the company distributing the driver. Unfortunately very few hardware manufacturers are willing to give out the necessary documentation to leth other develop free software drivers dir their hardware thus the companies have controlling over the end users computer by controlling which code runs on it. The same is true for firmware blobs since firmware essentially runs on your computer albeit perhaps not on the CPU but on a separate chipset. The whole idea behind GNU was to make an operative system in which the actually user of the computer was in controlling of what the computer is actually doing, and thus you might have to be careful to choose hardware from companies that allow you to have full control of your computer when buying new hardware, of course some pragmatism is required and I also think that pressure should be put on the manufacturers to allow writing is free software drivers and firmware for their product, the firmware is in general already developed by them and just needs to be released under free terms. Freedom? What about the freedom/choice to use closed source drivers? Do you even read before replying?. The first ‘b’ in “blob” (“Binary Large OBject”) already stands for “binary”. Why to called it Debian Linux? IMO if we’re going to speak about Debian we must called it Debian (for short) or Debian GNU / Linux but not Debian Linux because it’s not a correct name. While i can understand the idea of giving user’s freedom…shouldn’t they also be free to use closed source if they trust closed source? And yes,i know to an extent you do that in some cases,like Ubuntu having restricted drivers…but not in the case of these OS’s (confirm/deny? ),and even then they aren’t just a simple switch on/off,making you still powerless if all you wanna do is try the OS via live CD/USB. If it’s about freedom,shouldn’t users also be free to use closed source if they don’t wanna have to bother with the code? If they in fact trust that the companies know what they’re doing,and won’t ruin their computers with the code? Many users are perfectly fine,some in fact WANT these big companies to be running their code for them,because in fact only a minority of users even have the knowledge to deal with open source code. At the same time,i don’t wanna outright say you should deny Open source,it has it’s benefits and i can see that. I like the idea that if you don’t like how X code works,or you think it could do better,you can change it.What i’m saying is…shouldn’t there always be a middleground? Shouldn’t the restricted drivers be pre-installed at least when trying to test an OS? Shouldn’t they at least exist on the disk for those who love the OS,but don’t hate closed source in the same manner? I mean,Linux seems like it has the power to just install what you want anyway,right? You can still have a completely open source OS,just leave the restricted drivers somewhere for those who need them.Rather then put the pressure on users to change hardware,put the pressure on users to decide whether to install it at all. If you want,you could even just make an option in Linux saying “Hey,don’t ever ask me to install restricted drivers”. Companies which ship non-free drivers are acting unethically. They are not honest, not trustworthy, and certainly not something you would knowingly want to buy if you understood the problem. They are denying you the ability to get fixes from third parties. They ensure that you will purchase new hardware rather than get a fix or maintenance from another company. When people bought Microsoft Windows Vista they were forced to upgrade all sorts of hardware. From printers to sound cards. This was largely due to the fact drivers and firmware in older devices were non-free. Users could not get drivers for the new operating system. This same issue impacts free software users who purchase software or hardware dependent on non-free drivers/firmware/code. This isn’t just Microsoft Windows Vista either. It is true of all non-free operating systems including Ubuntu, LinuxMint (especially true), Fedora, Microsoft Windows XP, Microsoft Windows 7, and others. ad firmware – maybe you could start to think what is difference between driver and firmware, then you get a point what is blob. Ran Ubuntu for some time found it was not too bad a system. Upgraded”?”to 11.04 found it to be the worst ever I think they used the Windows ME development team. Why does the text on this site go off screen and not visible readable? It would be great if all distributions moved to be binary-blob free sooner rather than later. Debian amongst others have begun to realise the problems of non-free software (they’ve always been better than others… though too) and while few are Stallman-strict in not allowing non-free software many are beginning to realise Stallman is at least partially right (admitting it or not). Non-free software is a major problem on any operating system and especially so on free software based operating systems (referring to non-free distributions here). This is not a ethical issue. It is a technical issue and the entire community free and “open source” should be able to agree on this and work together to eliminate it from acceptability. Making non-free software and hardware more difficult or impossible to use will encourage people to purchase hardware that works with free software and invest further in free software applications. Unfortunately most of the companies out there don’t get it or care.. this includes system76 and other popular “Linux” operations. Boycotting them would be a good start alongside the likes of other chipset manufacturers and similar. Printers: Lexmark, Dell, Cannon, Samsung, Epson, and just about everybody else; good alternatives: Some HP models although not all. Sound Cards: Don’t go Creative as they killed free drivers a while back; I believe all others should be OK.
Notebooks: Stick with a non-MS Windows notebook. 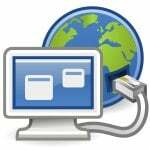 ThinkPenguin.com sells ones without MS Windows and so do others although the majority of Linux notebooks depend on non-free drivers/firmware so should be avoided. Alternatively if you check out the chipsets you can build one yourself. MSI Whitebooks, Chinese Imports, Compal, and ASI all have systems available without MS Windows although not all are GNU/Linux friendly or free so be weary if you don’t know what you are doing. There are great alternatives for software in many cases if you look around: OpenShot for instance is a great video editor. Some programs like Evolution or Thunderbird need to be tweaked as distributions don’t have the best default configuration although are excellent (or go with web mail). Then there is LibreOffice, and others which I’m sure everybody knows about. Freedom or not freedom? I rather learn and teach other distros that I made the move to free software/open source not because of the money… It was mainly for privacy and security. Any proprietary company (as in pharmaceutical companies) will try to patent all and get a monopoly. Then oppression will come and people will pay or DIE. In this case is information technology and future of humanity is at risk. Whether you use proper free software and struggle (even if fkn facebook doest load your vids) or protest in the streets. Geeks protesting wont look that impressive, so then go back to your keyboard and challenge the system doing what we better do. I read all these arguments about free or not free applications used in Linux, from my point I can say this: being a microsoft user for so many years I am tired of it and trying to find something better. I have enough of those viruses and add messages and having to use several viruscheck and other programs which just slow even fastest computer to a crawl, I want to switch to something new, better. I have no knowledge of Linux and I am planing to get me some books to learn as much I can being so busy. That is the reason I tried several versions of popular linux programs. Started with Ubuntu (hearing so much good about it) it was useless for me. Did not know how to make anything work for me except the browser and any applications I could run in the browser. Then I tried several other distros which were a little better. I like the best Linux Lite, it was the best for me so far, but I am still looking. 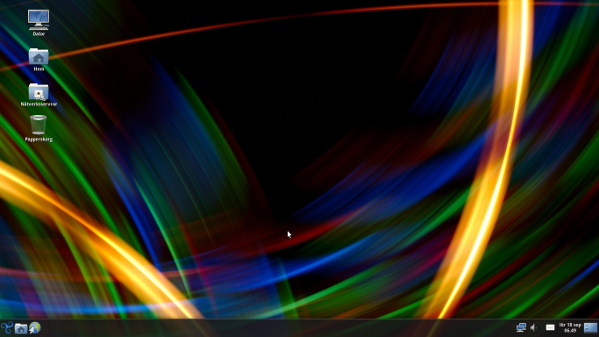 day, like Skype, which was for me almost impossible to install, or if it did it was so strangely deformed. While Linux community is arguing about free or not free software and trying to push their own software, Microsoft is making big money. I think somebody should design a distro that has already loaded applications that most of general public use every day, and you know what they are. Should use free and non free software, and after it becomes popular you could design your own free software and replace non free ones. This way everybody would be happy, while you Linux expert can continue develop your software as much you experts like and enjoy it. For a distro acceptable for windows convert you could charge some minor ammount like 10 or 20$ and it would give you more incentives to make it even better. This is my opinion that this way Linux for general public would be in great demand. Otherwise linux will continue to be popular only to a few Linux experts. GNU/linux is an Operating System, sso when you write that linux is an operating system, you are in wrong. Die hard fans of open source in Free Software Foundation ? There is NOT one person, in Free Software Foundation that AGREE with open source, all AGREE to Free Software. Why then DIE TO HARD ? so before to write about distribution, and to write about Free Software, think a little bit. People are too lazy and ignorant to learn about anything other, than what is handed to them by the stores, which they are brainwashed into trusting at. Then, later they are surprised when after years of fueling the manufacturers of the proprietary products with their money, they (the consumers) find out they have no freedom whatsoever, other than to continue paying and be at the mercy of the manufacturers of their products. That’s because proprietary means: you are not allowed to learn, modify, or share it. Remember: the more you know, the less advantage others can take of you, and the more freedom (and power) you, and the next generations, will have. Nobody else thinks exactly as you do, or does exactly what you do, so you are UNIQUE – don’t forget that. There’s only one “YOU”. You are HERE on this planet, and you are here NOW. Whether you do something or not, you will influence this world, so the only question is: what will you choose to do: being an obedient and ignorant slave, or taking things in your own hands, and directing the humanity where it should be heading? Yes, it is exhausting work, but so is life in any other way of living, so seek inspiration and help when you need it, and stand up if you fell down.